On Thursday, August 9, 2018 the Scott Police Department received reports of multiple burglaries and thefts in the 100 block of Angler Drive. Among the items stolen were cash, tires and rims, and various other items. Residents’ security cameras captured footage of the suspects, two black males, who were picked up by a dark colored SUV. Scott Police Department obtained a still image of one of the men involved. 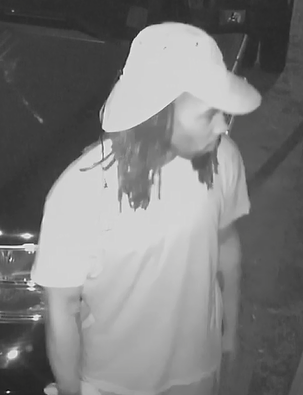 Anyone with information regarding the identity or whereabouts of this man is asked to contact the Scott Police Department Criminal Investigations Division at (337) 889-5105.